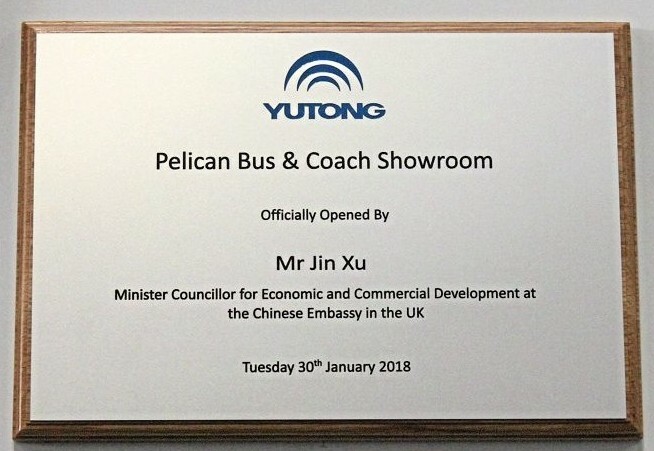 Pelican Bus and Coach has opened its new Yutong showroom and engineering base, with the visit of Jin Xu, Minister Councillor for Economic and Commercial Development at the Chinese Embassy in the UK. With the Castleford, West Yorkshire, building at over 12,000 square feet, the whole 1.4 acre site (close to Junction 31 of the M62) is a £1.5 million investment in the Yutong brand by Pelican, which in its third full year as the sole importer and distributor for Yutong in the UK and Ireland. The introduction of the showroom suite with room for up to three vehicles will ensure customers can examine vehicles in a comfortable environment. The depot has a seven vehicle pre-delivery inspection and repair area, which has been specified to take 18-metre and double-deck vehicles in the future. Heavy-duty charging facilities are available for two electric vehicles at a time. A dedicated team of eight technicians is available to deal with minor warranty, and repair work. The workshop is equipped with an access gantry, Hywema lifts and axle stands – whilst more major attention is available at the company’s Authorised Test Facility, some 200 metres away where up to 60 MAN and DAF technicians are on hand. The depot also includes a sales boardroom, ideal for business discussion with customers. 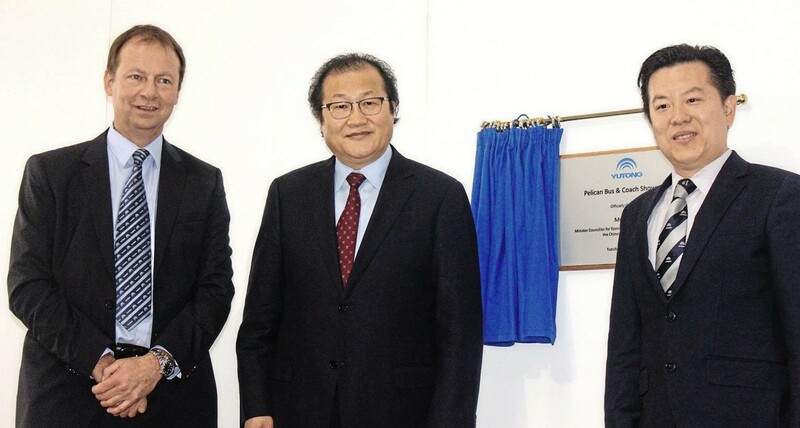 The new facility was officially opened by Mr Jin Xu, and Kent Chang, Vice President, Overseas Sales, Yutong, with both Richard Crump, Managing Director, Pelican, and Bob Crump, Chairman, Pelican. Pelican Engineering was founded in 1919 by Ernest Crump when he left the Army, where he was a dispatch rider. The business grew with Gardner and Foden franchise partnerships being established. Bob Crump joined the company in 1952, and succeeded his father at the helm of the business in 1968 when Ernest passed away. Richard Crump took over the business in 1996, and with the introduction of DAF and MAN franchises the company grow rapidly. In 2012, Pelican Bus and Coach was formed to handle the importation of BMC vehicles. 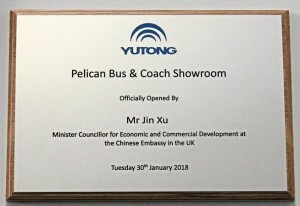 In 2013, Pelican agreed to represent Yutong in importing their coach products, with sales commencing in 2014. By January this year, coach sales had grown to 320, and managing director Richard Crump says that the sales target is somewhere between 100 to 150 per year: “The aftermarket support of 24 hour, seven day a week operation continues to assist our customers if issues arise. 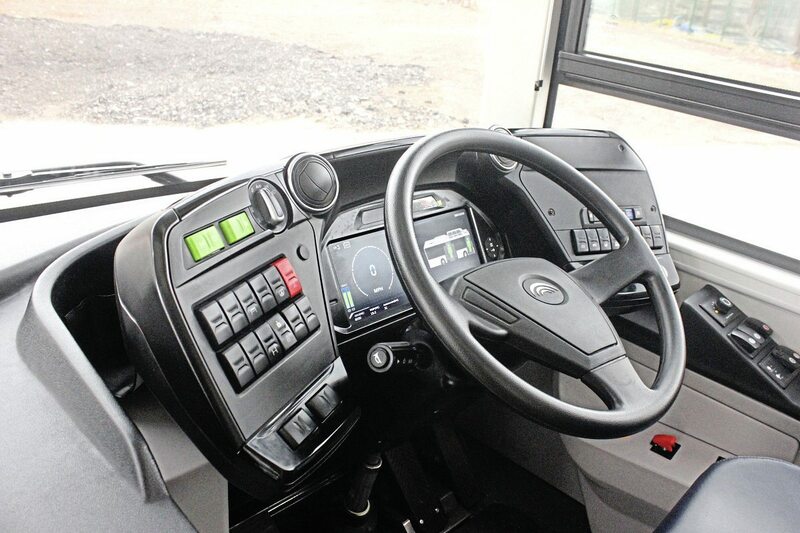 Our priority is to ensure our customers stay on the road longer, maximising their vehicle’s uptime through reliable, long term service support that has the full backing and support of Yutong,” he told Bus & Coach Buyer. The company offers a two-year warranty on all new vehicles, with a network of official repairers throughout the country, as well as a mobile engineering service in the south of England. New coaches can be ordered, with delivery from China taking between five and six months. A substantial number of stock vehicles will also be available. 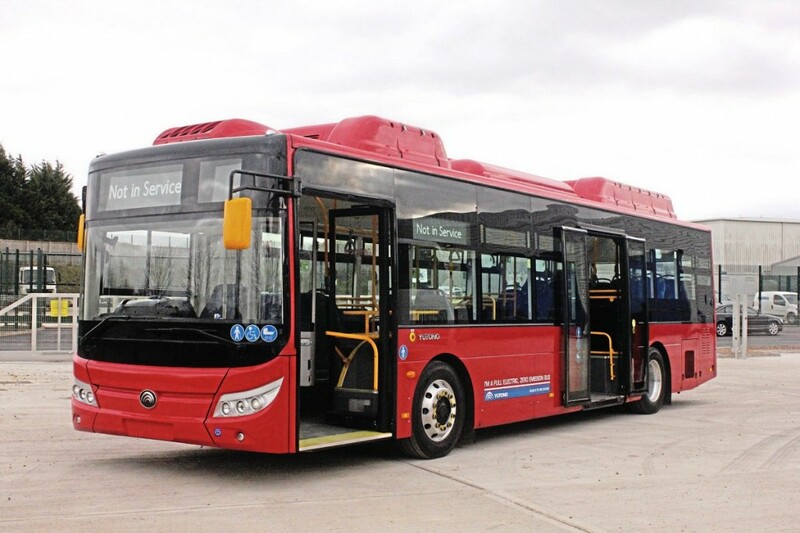 Vehicles available to view and test drive at the Pelican Yutong facility included a new 10-metre, TfL-spec electric bus, the two coach models – the TC9 and TC12 – and the E12 electric bus. The increased focus on the environment has resulted in Yutong, the world’s largest bus and coach manufacturer developing a right-hand drive versions of their electric product. Yutong sold nearly 68,000 buses and coaches in 2017. This included many different types of vehicles and fuel systems, ranging from 5-metre to 18-metre vehicles, and including diesel, hybrid, gas, electric and hydrogen power supplies. Their electric vehicles were launched in 1999, and have seen remarkable growth with Yutong No1 in China, and now having 58,264 electric vehicles in operation, worldwide. Making its debut at Pelican was the E10 electric bus, built to Transport for London specifications. The 10.8-metre single deck bus is available as both a two-door version or single-door bus. The London version has 31 seats with 46 standing or 35+42 on the single-door specification. Zero emission is achieved by the electric-driven air conditioning, which provides dual heating and cooling with no emissions. The E10 presented has a battery capacity of 324kW/h with an effective range of 181 miles on a single, overnight charge. Charging is completed with a European standard CCS2 charging gun from a DC charger capable of charging the vehicle in less than 2 hours 30 minutes. It has full LED lighting, and USB charging is available at every seat. 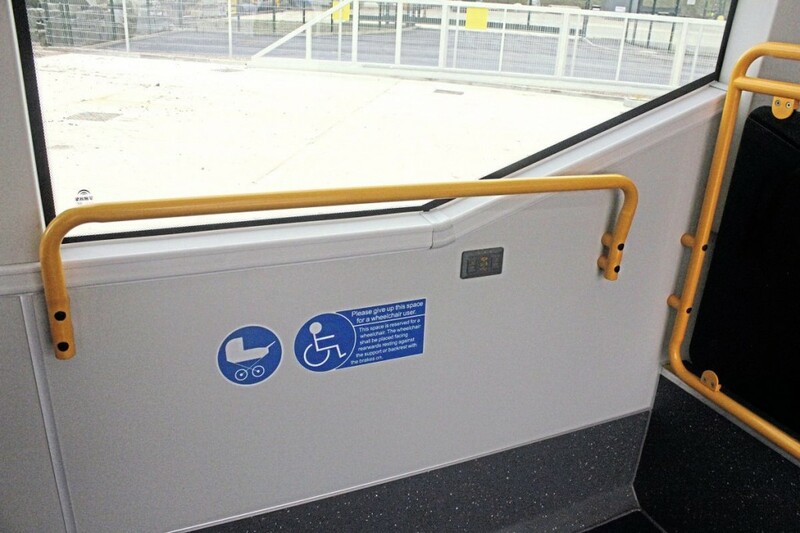 Ian Downie, head of Yutong Bus UK, said that other seating options and trim could be specified, but might cost more. The bus will retail at between £300k and £400k, but engineering costs would be at least 20% less. 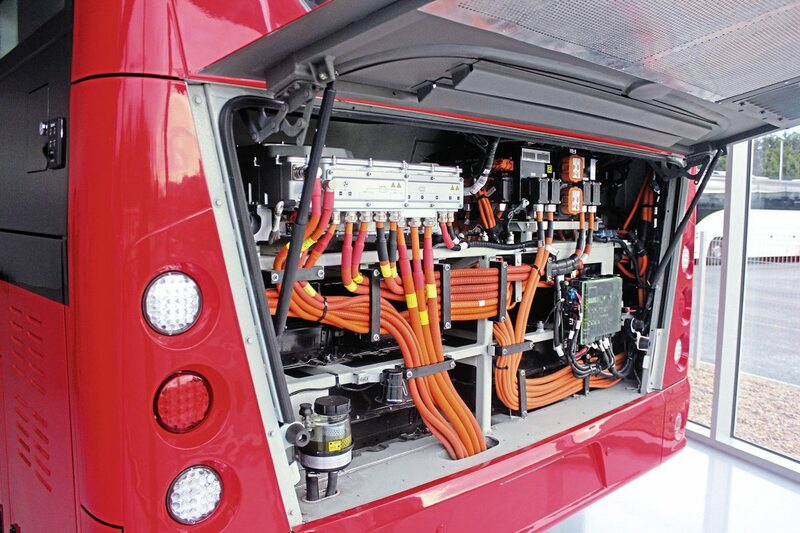 The bus uses 12 battery packs, half of which are on the roof, and half under the rear seats, where the electric drive motor is coupled directly to the rear axle. The vehicle, which arrived in the UK only five days before the launch, will soon be in operation with Arriva London for at least a month. It will then undertake duties with other London bus operators in turn. The TC9 9.3-metre coach, he said, is leading the midicoach sector in the UK. It is powered by the rear-mounted Cummins ISB 6.7-litre engine which is available with either 280bhp or 320bhp. A ZF 6AP1200B six-speed automatic gearbox coupled with a Yutong drive axle completes the driveline. Available as a 34-seat or 32-seat with a toilet, or 35 to 37 seats without, factory trim options include moquette, half leather and full leather trim. A new TC9 delivery for Williams Coaches of Brecon was handed over on the opening day. The TC12, 12.28-metre coach is powered by the 10.8-litre DAF MX-11, 400bhp engine, with the ZF six-speed gearbox. 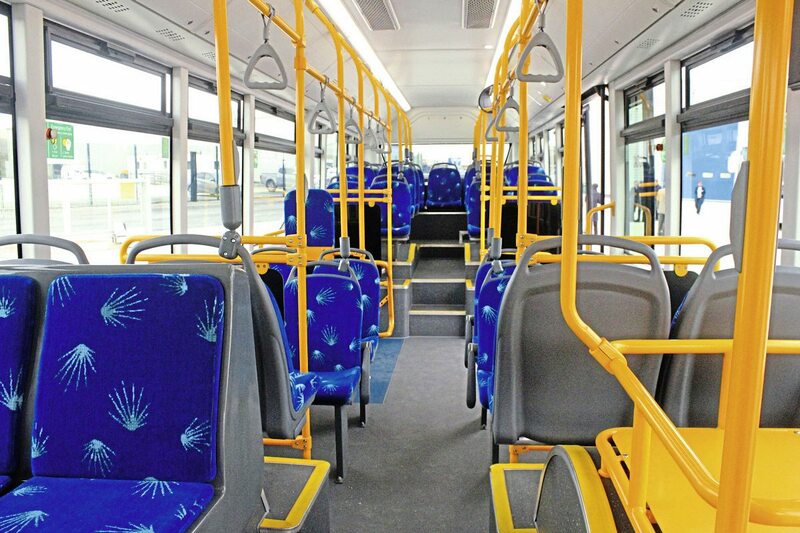 Available as a 51 seat with toilet or 53-seater, the vehicle comes with a range of standard extras, which includes a range of trims, radio/video/PA system, and LED mood lighting. 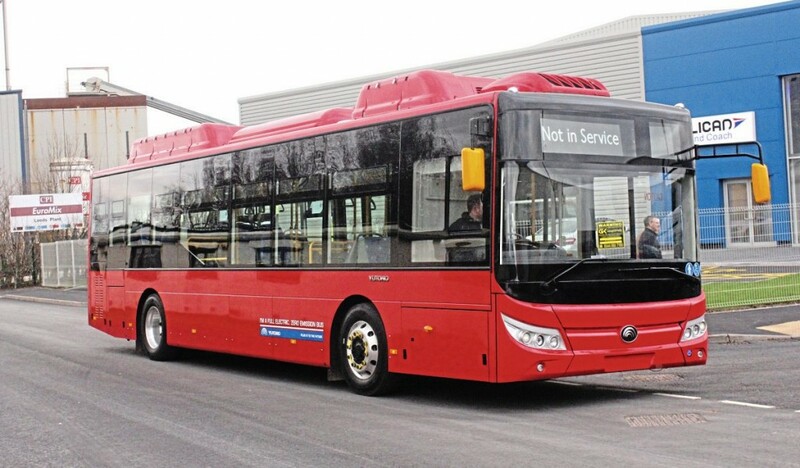 Also on display was the Yutong E12 electric single deck bus, which was launched at the Euro Bus Expo in November 2016, and has been on demonstration duties in Liverpool, Manchester, Nottingham and York. With an average energy consumption of 1kW/h, the vehicle has completed 25,000kms of trouble-free operation.